Do you need a yummy salad recipe? Take a break from all the heavy foods and sweets this season and eat some light food to refresh your body. This citrus ambrosia salad will refresh your palate. 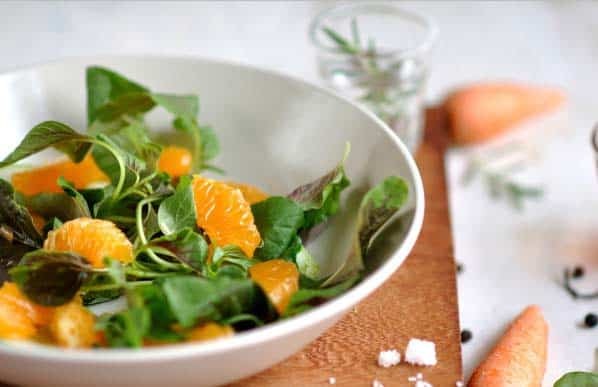 The citrus ingredients for this salad will give you an additional health boost this holiday season. There are a number of studies that show that citrus fruits, like tangerines or oranges, are great for your health. These fruits are packed with vitamin C, which can help with reducing heart disease, cancer, stroke, diabetes, and a host of chronic ailments. In addition, limes have potassium that can help with nerve functions and high blood pressure. Besides the citrus ingredients, there are the coconut flakes and dried cranberries, which are also healthy. Coconut has protein, fiber, iron, and zinc. The iron can boost your immune system and the zinc can help you heal. Cranberries have vitamin C, fiber, and vitamin E and it can help prevent cardiovascular disease and cancer. It can also promote better dental health. Are you ready to make this delicious citrus ambrosia salad? It’s easy to put together. Here’s the recipe. Toast the coconut flakes in a preheated oven set at 350 degrees. Toast the coconut until golden. This usually takes three minutes. Drain the citrus segments and reserve one tablespoon of juice in a small bowl for the dressing. Squeeze two tablespoons of juice from lime and add it to the bowl. Lightly grate the peel for some lime zest. Whisk in salt, coarsely ground black pepper, and olive oil. Toss the coconut flakes, cranberries, and dressing in with the greens. Want to add more to this delicious citrus ambrosia salad? No problem. This is an easy recipe that can be transformed by adding some source of protein like grilled tofu, shrimp, or chicken. You can also substitute the mixed greens with organic spinach. Spinach comes with great health benefits, including increased brainpower and asthma and cancer prevention.